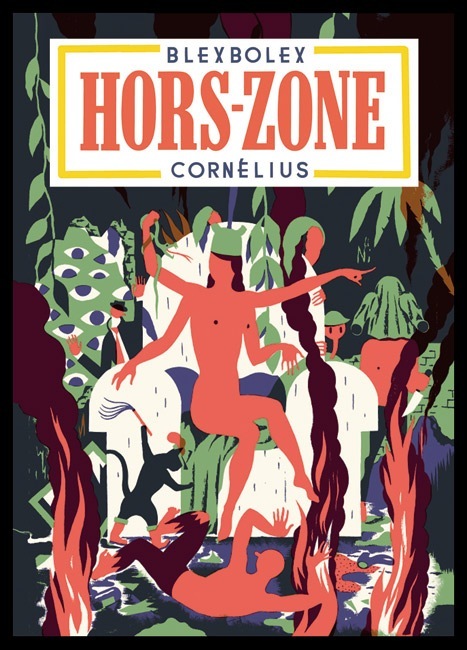 The picks for the Angoulême 2013: Official Selection have been announced; as widely noted, the lists in recent years are much more populist—THE WALKING DEAD, FABLES—than formerly. The published lists are all in French and we’re going to risk horrible danger by attempting to list the English titles of the English books. More prizes will be given in various categories at the festival which will be held 1/31-2/3-2013. Jean-Claude Denis will be the grand marshal. So, I won’t be surprised if the “series” award (given to a continuing series, the elligible books are indicated on the listing above) goes for a foreign series. Of the nine books selected for that particular award, no less than five are foreign. Is the french-belgian comics industry so crappy that only FOUR “commercial” french books (of about 2000 published every year, not counting translations and alternative works) are worthy of an award? On the positive side, at least they don’t confine foreign stuff to “ghetto” categories like the US awards. Just the name of those categories is already xenophobic enough to make my skin crawl. “Best AMERICAN edition of foreign material”? For crap’s sake! Pedro: the reason is simple: they would only give an award to a foreign only it has been translatedd in a french edition, so that narrows it motsly to works that are already commercial enough to have a french edition. As in anywhere else, a lot of the french/belgian stuff selling very well is sometimes of poor artistic quality. I would gladly see the prize go to something in need of a more commercial success than something already bathing in a large public success. 4 out of ten is already good. It’s an international festival , remember? At the Cannes film festival, there is way less french movies in the whole selection. And y²ou would be surprised to know what some big editors are thinking of US comics. I remember a very short discussion with a big french editor, who denied publishing any US comics, even as I pointed out to her they do. But hey, for her, because they published it, it stopped being US comics in name, that was something more…. Four out of NINE, Xavier. And nine out of 32. And the commercial french stuff being of poor artistic quality is compared to what standards? The best-selling manga outside Japan is Naruto, the best-selling US comic is either Avengers or Justice League, depending on which renumbered more recently. The best-selling italian comic is Tex. On the other hand, the best-selling heartless, horribly commercial, non-artistic french-language comic is, well, Titeuf. The only one of the list done by its original creator without an army of assistants, by the way. Which of them is the best? Of course there are better alternative books out there than most of the mainstream stuff. But in such porportion as to make a commercial french comic a rarity on those listings? Specially since the best creators tend to become fairly sucessful themselves (just look at Christophe Blain, for example)? No way. The best seeling Us comics would not be Avenger or JLA but Walking Dead or even Whimpy Kid . Well yes, I would say that Titeuf is a good exemple of the mediocrity of the best seeling french bandes dessinées. We have, for exemple, tons of heroic fantasy series looking identical. the green seems always greenier somewhere else but really, that’s not paradise here. Us comics have a variety in graphic styles that we do not have here. I see some nice french talents working in the US who would not have been able to make a living here because their style would not have worked here. Bande dessinée is perhaps a noble lady in France, but an old one, not open to innovations. If Wimpy Kid is a comic, friggin’ Little Prince would be the best-selling comic in the world.